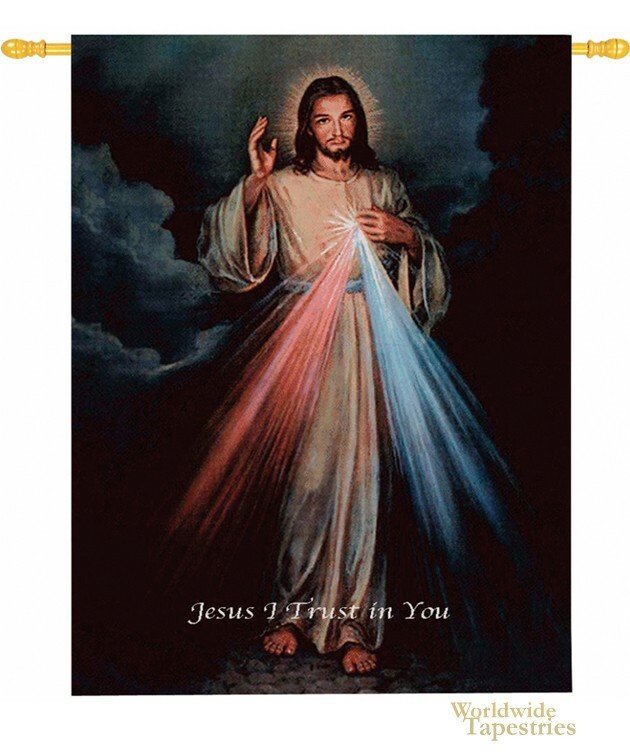 The Divine Mercy tapestry shows Christ with a beam of light from his heart, with the words below "Jesus, I trust in you". In this piece we see Christ in white robes with a blue and pink light emanating from his heart. This Christian tapestry is backed with a lining and a tunnel for easy hanging. Note: tapestry rods and tassels, where pictured, are not included in the price.